One of the most violent and costly battles of World War II is recounted in this feature film from 1971. 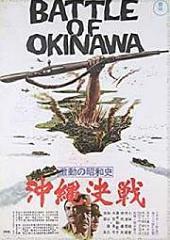 The Japanese forces mount one last desperate attempt at defending their territory as the island of Okinawa comes under attack, leading to enormous bloodshed and many casualties. With Keiju Kobayashi, Y�z� Kayama and Tetsur� Tanba.